This week Breitling and The Gentleman’s Journal hosted a party to celebrate the 30th anniversary of the iconic Chronomat watch at the flagship London store on New Bond Street. The lovely Housekeeping boys got the party started on the decks, whilst champagne, ginger cocktails and yummy canapés floated around the store. 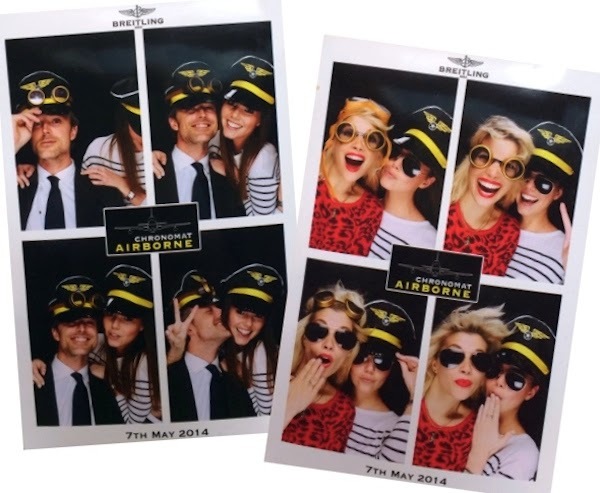 We made full use of the instore photobooth (complete with aviator glasses, old-school goggles, flying jackets, and the all-important captain’s hats) before heading out for the most delicious late night dinner at Peyote on Cork Street. If you’re around London this weekend, don’t miss Housekeeping’s next instalment in their Seven Deadly Sins series. Gluttony will be THE party on Saturday night at Koko in Camden. Check out event details here.